Dimensions 0.50 by 4 by 7 in. After her husband is killed in front of her, wealthy widow Frances Mayfield insists on hiring a bodyguard. And who better than the man that rescued her from the attackersâDeputy U.S. Marshal Custis Long? 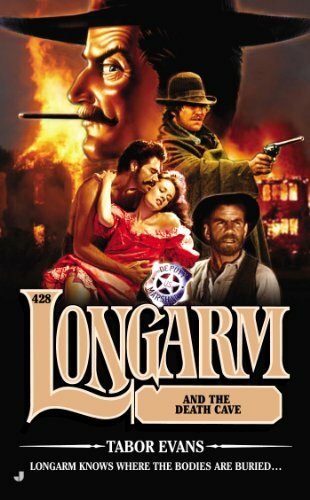 Of course, Longarm has a job, but when the widow makes him an offer he canât refuse, he turns in his badge and proceeds to guard the body of the bereaved beauty and accompany her to her ranch. There Longarm discovers a grisly surpriseâseven murdered men in a mass grave, their corpses deposited in a grim death cave on Mrs. Mayfieldâs vast property. Having failed to kill the rich rancherâs wife, her enemies are attempting to frame her with this tomb of slaughtered sodbusters. About: Longarm knows where the bodies are buried…After her husband is killed in front of her, wealthy widow Frances Mayfield insists on hiring a bodyguard.